Yesterday the royal family attended Prince Louis's Christening, and today they are back to duty as the Duke and Duchess of Cambridge and Duke and Duchess of Sussex are at Westminster Abbey for a service to mark the centenary of the Royal Air Force. 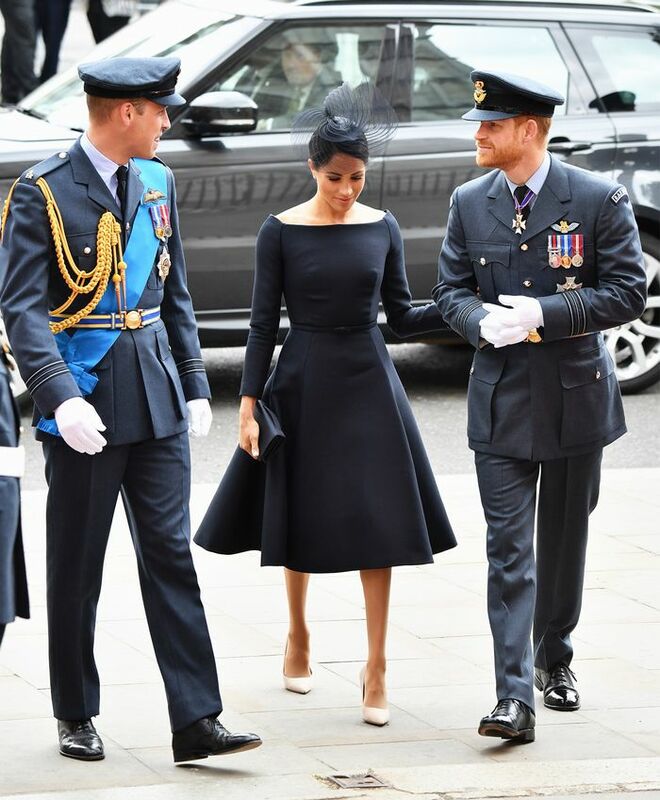 Meghan turned to Dior for the occasion, wearing a black dress which is reminiscent of the 'New Look' Dior from the '40s and '50s as it has a nipped in waist, elegant sleeves and a full skirt. It also has the neckline which has quickly become Meghan's signature — the boat neck. On Meghan: Dior Dress; Stephen Jones Hat. 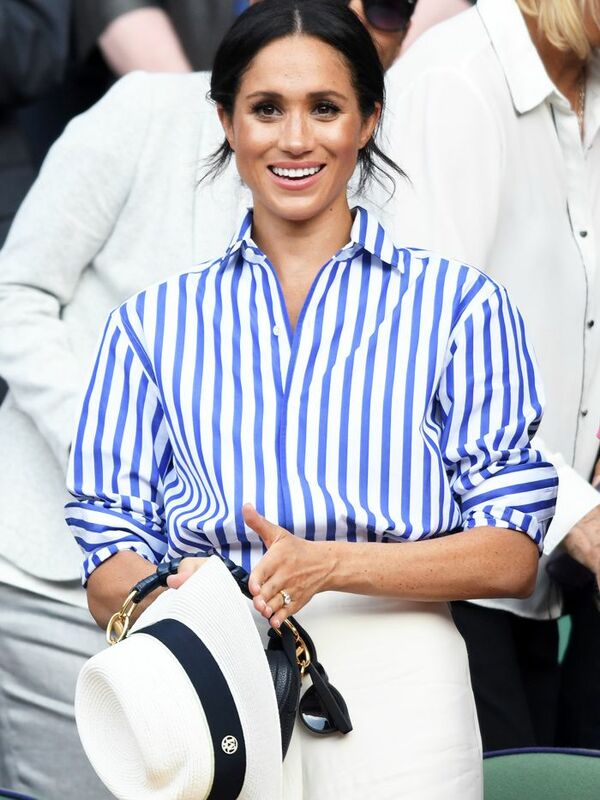 This is the first time that Meghan has worn Dior since becoming a Duchess, however she has already shown a fondness for Parisian design houses. She turned to Givenchy instead of a British house for her wedding dress. An image of the Dior New Look from 1947. The boat (or bateau) neckline has a slashed cut across the chest to reveal the collar bone, and was favoured by Audrey Hepburn (she wore this style in Funny Face). Of course Meghan Markle's wedding dress by Clare Waight Keller for Givenchy had a bateau neckline, and it is a theme that has ran through her royal wardrobe so far in 2018. Just yesterday Meghan wore a khaki dress by Ralph Lauren to Prince Louis's Christening which had this slashed neckline, and she has also worn bateau necks styles by Brandon Maxwell, Givenchy, Theory and more. On Kate: Alexander McQueen Coat. On Meghan: Clare Waight Keller for Givenchy. Next up, see all of the outfits before and after Meghan became a Duchess.